A fine art print of "Colonial Fence & Wildflowers" will give your workshop, garage or meeting room a nice punch. 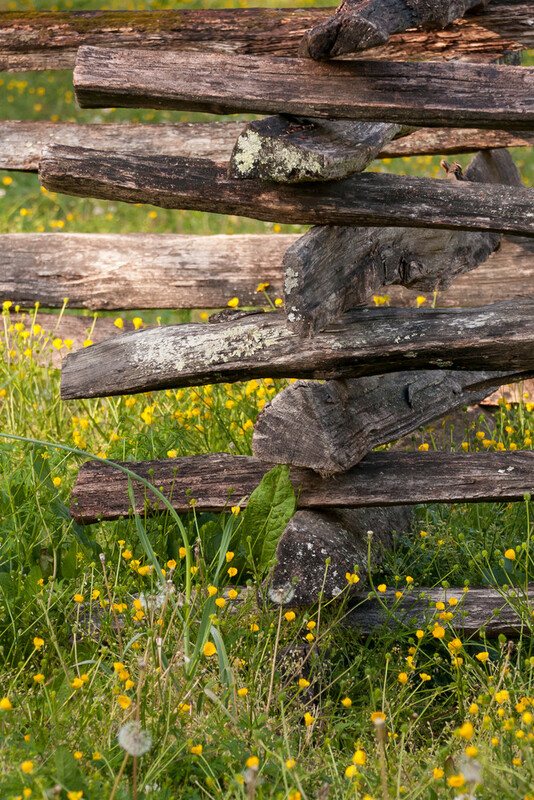 The planks of the wood fence have weathered over the years, revealing loads of details and fine textures, softened by the Dandilions and Buttercups reaching from below. Bring a piece of Colonial Williamsburg to your home! This fine art print of "Colonial Fence & Wildflowers" is part of my Rustic Wall Art series. You can almost hear the bees sampling the flowers! Displayed on canvas, the textured surface faithfully captures time-worn details. The earthy hues are radiant, resembling the warm sunshine. Canvas prints are available on a 3/4" or 1 1/2" frame, ready to hang and enjoy. For a more modern look with bold, vivid colors and sharp details choose a metal print. Metal prints are ready to hang without a frame. Two museum-quality fine art papers are also available, should you prefer a more traditional look. Dandilions and Buttercups soften the hard angles of a wood fence in Colonial Williamsburg. Photograph was taken in Williamsburg, VA.